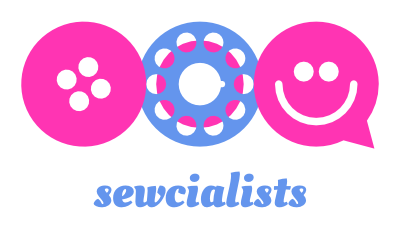 Like just about every other sewist, I’m partial to a podcast while sewing or knitting. 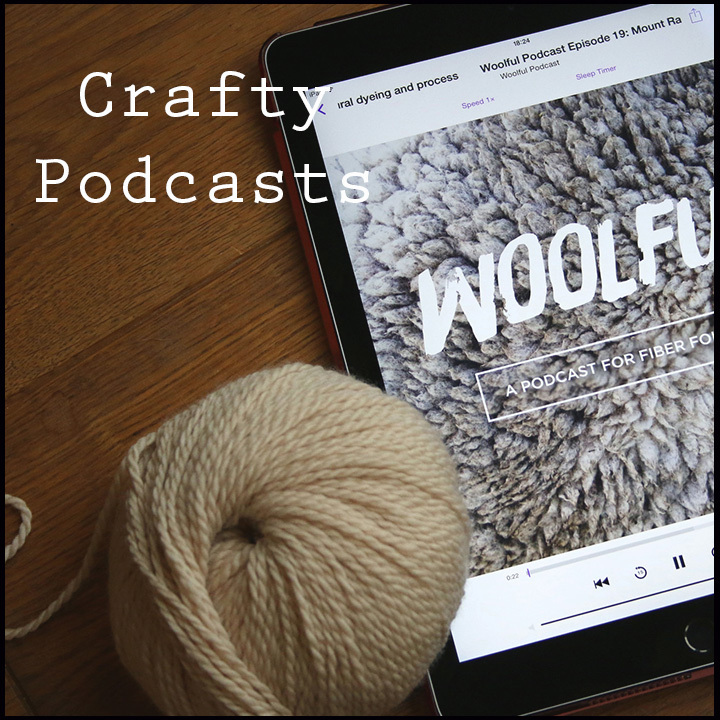 Below are some of my favourite crafty podcast for inspiration when I’m creating. 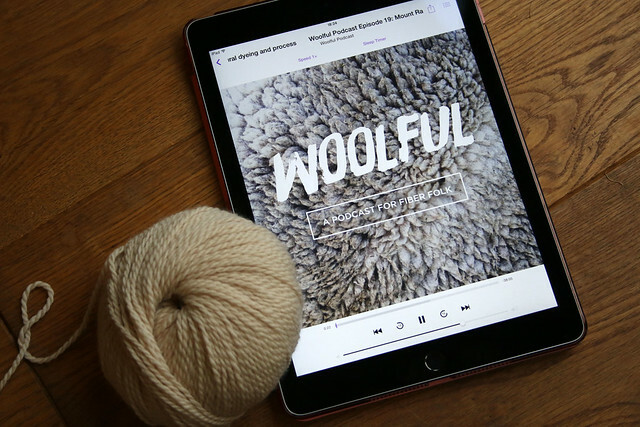 Woolful is released weekly so you can get a regular fix, I like listening every weekend:) It’s a podcast which features interviews with a diverse range of people involved in the fibre industry, including farmers, yarn producers, dyers, and shearers. As a result, I have learned loads about yarn production from listening. It’s also great for learning about independent businesses and products – so is highly likely to result in you buying more yarn. The podcast for Pom Pom Quarterly magazine is great fun. Each episode includes updates from the London-based Pom Pom Quarterly team, product reviews and interviews. The Knit British podcast explores UK produced yarns, yarn events, and businesses. The blog has great posts on locally produced yarns for £5 or less and £10 or less. A really unique podcast which explores knitting and yarn in relation to sound, and knitting inspired by everyday places and objects. I’d also really recommend the KNITSONIK blog. London-based podcast exploring what hosts Rachel and Allison are knitting and spinning, and fibre events. Rachel and Allison also organise the Yarn in the City, London yarn crawl. Interview podcast exploring fashion and sustainability. Each episode of the Sewing Affair contains a single interview with a sewing blogger / designer. 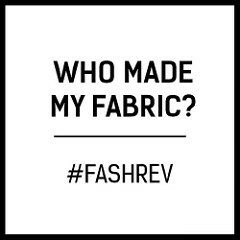 By focusing each episode on a single interview, host Corinne is able to spend time exploring how the interviewee started sewing, their other craft interests, their current projects, their business, etc. I like having the opportunity to hear some of my favourite bloggers tell us a bit more about themselves. Like the Sewing Affair, each episode of Craft Planner includes a single interview with a creative: designer / business owner / artist (with quilting most heavily featured). Host Sandi celebrates diversity in the craft world by interviewing makers from a range of different backgrounds. Episodes are released infrequently, but I’d highly recommend the past episodes. Again, episodes typically feature a single interview with a creative from the sewing and textile community. The interviews cover a really wide range of topics including haute couture, quilting, shibori, and natural dyeing. Each episode features an interview with a creative person from a wide range of disciplines. Hosted by Elizabeth of Squam retreats, each episode features one interview with a creative person. 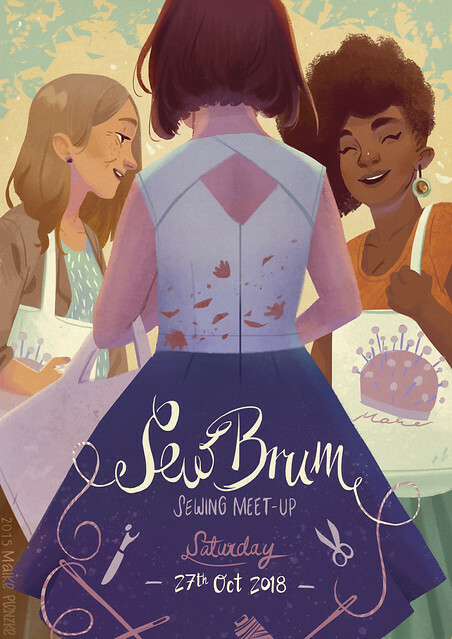 Each episode features a personal story about the ways designing, making, and wearing your own clothing can alter your life, from Seamwork Magazine / Colette Patterns. Hosted by Kat of Blogtacular, each episode features a conversation with a fellow creative and explores blogging , social media, and creative businesses. A podcast exploring knitting and craft, including regular interviews, with knit designer Helen. Knitting and craft podcast, with news from host Kate, and interviews. Interviews with creatives, exploring their creative background, current plans, and the response they have received online. Knitting design and project updates, product reviews, and personal knitting stories contributed by knitters around the world. Conversations with designers and makers about what it really takes to build a creative business. Updates from Nic on what she has been knitting and dyeing, and what she is exciting about. Knitting, spinning, and craft podcast, with a focus on natural fibres. 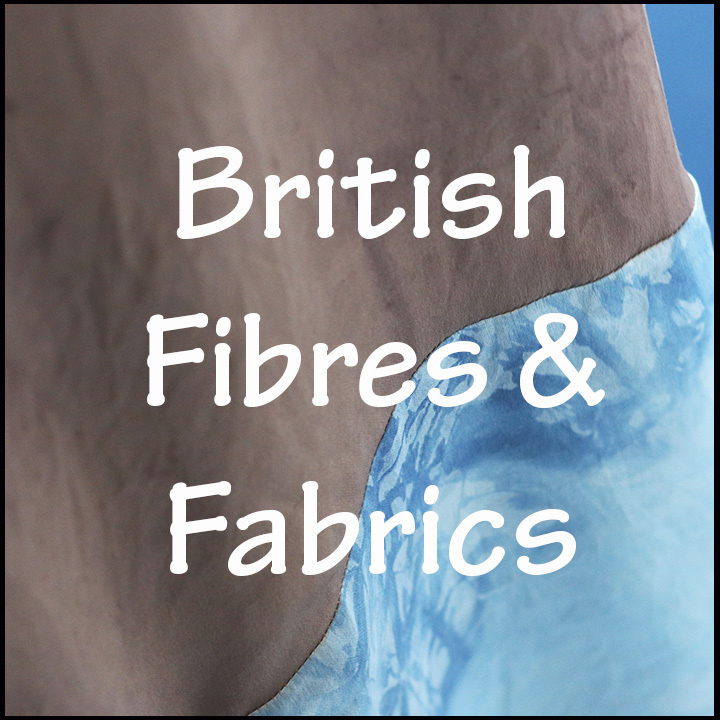 Host Corrie updates on her current projects, talks about UK fibre events, and conducts interviews. Sustainable World Radio has interesting episodes about natural dyeing, the fibershed project, and other permaculture topics. Another great interview podcast. Host Meighan interviews creatives in a wide range of areas, including weaving, sewing and quilting. This BBC history podcast has a huge archive, which includes an episode on the Silk Road, and the Cotton Famine (along with many, many other topics). The YouTube channel of knitting designers Arne and Carlos contains fun tutorials and seasonal specials filmed from their home. Sew Over It founder Lisa vlogs from her home about her recent and upcoming sewing projects, posts regular fabric and pattern reviews, and Sew Over It news. Gabby vlogs her recent sewing projects and plans, sewing purchases and news, and sewing tutorials. Isla vlogs Brityarn shop updates, British wool news, and her finished projects and works in progress. New pattern collections, and sewing advice. Occasional tutorials for Stephen West patterns, and other bits and bobs. Videos produced by Fashion Revolution teams worldwide. Fabric advice and sewing tips.